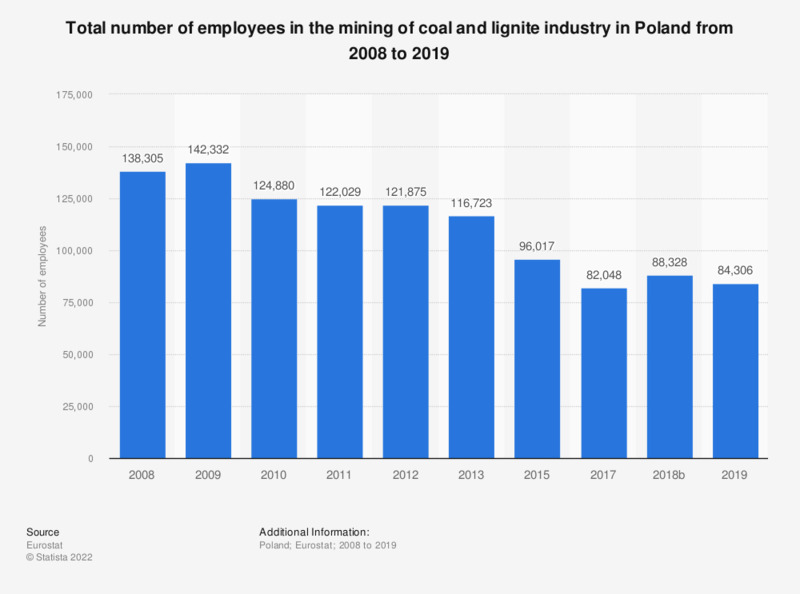 This statistic shows the total number of employees in the mining of coal and lignite industry in Poland from 2008 to 2013. In 2013, the mining of coal and lignite industry employed in total approximately 116,723 people. Data coverage corresponds to code B05 of NACE Rev 2.